The first thing you learn on the job at St. Mary’s is that one wrong move and history will fight backsometimes in particularly nasty ways. But, as new recruit Madeleine Maxwell soon discovers, it’s not only history they’re often fighting. 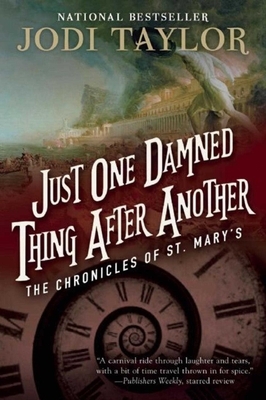 The Chronicles of St. Mary’s tells the chaotic adventures of Max and her compatriotsDirector Bairstow, Chief Leon Farrell, Mr. Markham, and many moreas they travel through time, saving St. Mary’s (too often by the very seat of their pants) and thwarting time-travelling terrorists, all the while leaving plenty of time for tea.